In addition to this year’s Newbery winner and Caldecott Honor books “Last Stop on Market Street,” “Trombone Shorty” and “Voice of Freedom,” check out the titles below for some children’s books about Dr. King, fiction and nonfiction books about ordinary people who stand up for what’s right, and stories about helping others and giving back. "In a book that tackles the biggest challenges facing us today, Chelsea Clinton combines facts, charts, photographs and stories to give readers a deep understanding of the world around them—and how anyone can make a difference. 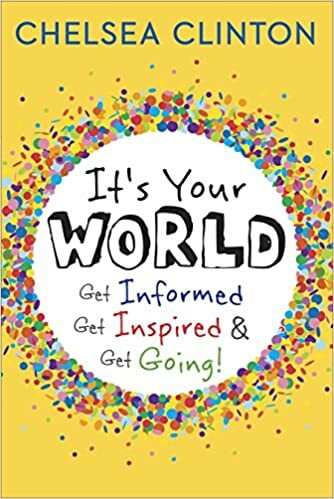 With stories about children and teens who have made real changes big and small—in their families, their communities, in our country and across the world—this book will inspire readers of all ages to do their part to make our world a better place."—Amazon.com. Thank you to Carol Simon Levin, Bridgewater Twp. librarian for these suggestions.